Namwianga Mission is blessed with dedicated missionaries who work tirelessly to meet the physical and spiritual needs of Zambians. Meagan Hawley serves as medical advocate and teacher for The Haven, Namwianga’s in-home orphan care. She works to make sure all of the children at The Haven are healthy and thriving developmentally. Much of her time is spent taking children to their various doctor’s appointments and working with the aunties (Haven caregivers) on how to best foster the children’s developmental needs. Meagan is a native of Wichita, Kansas, and a graduate of Oklahoma Christian University where she received her bachelor’s degree in English and secondary education. Her work experience includes teaching middle school in Edmond, Oklahoma. The East Point Church of Christ in Wichita and the Brentwood Oaks congregation in Austin, Texas, support Meagan’s work at Namwianga. Meagan has a five-year-old daughter named Helen. 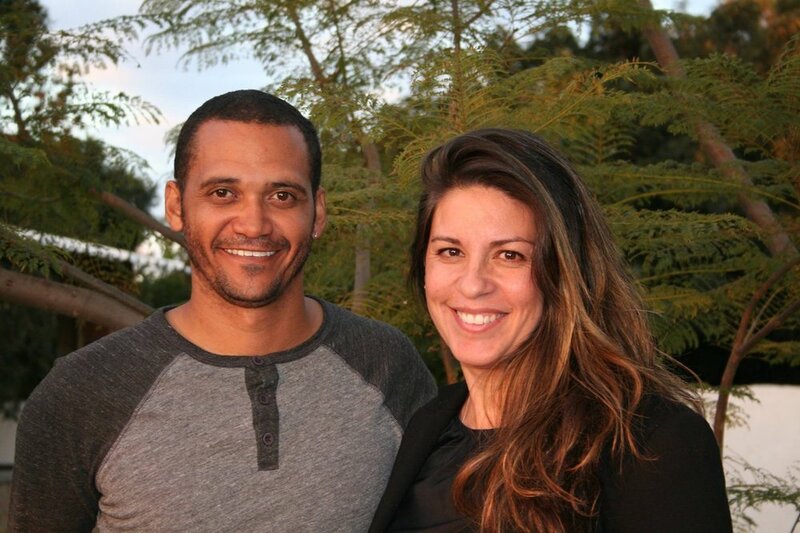 Jason and Cintia Kumalo have served as house parents for Eric’s House, an in-home facility for orphaned or abandoned children and young adults, since 2013. Currently there are 30 kids ranging in age from 10 – 27 in their care. The older residents are completing higher education or receiving job training, but they still call Eric’s House home and consider Jason and Cintia as their guardians and parents. Jason and Cintia met while in high school in Victoria, British Columbia. Jason later attended Abilene Christian University and studied electronic media with a minor in youth and family counseling. Cintia worked as a resident care aid/medication care manager and later completed training in make-up artistry. Jason worked for an Abilene TV station before moving to Hollywood and becoming a videographer and assistant director in the film industry. Cintia worked as a make-up artist for weddings, print work, and film. After the birth of their first daughter Marisa in 2012, Jason and Cintia decided they wanted a different lifestyle and moved to Zambia to serve at Eric’s House. They welcomed another daughter, Arya, in 2015. As house parents we deal with the day-to-day lives of these young adults just as any family would. We give them education and a safe environment to live in. We share all aspects of their lives from school, to heartaches over broken relationships, to triumphs in life goal accomplishments, to dating issues, to answering questions about faith and the purpose of our lives, to connecting with them and developing a relationship that will help us all grow as we daily strive to live for the kingdom. We laugh, we cry, and we live as a family. Jason and Cintia have initiated several projects to increase the sustainability of the orphan care ministry at Namwianga. There are garden plots to provide vegetables, and poultry and livestock production for meat and eggs. The latest addition is a workshop where kids can learn light metalwork and woodwork for basic life skills that they can carry with them for a lifetime. Jason and Cintia do not have a sponsoring congregation. They love the work they are doing, but in order to continue and they need a committed church community to support them financially. Roy and Kathi Merritt are long-time missionaries at Namwianga. Roy is the son of early missionaries Dow and Helen Merritt and was born at Namwianga in 1944. He has lived in Zambia all of his life except for his college years at Harding University where he obtained his bachelor’s and master’s degrees. Roy began teaching math and Bible at Namwianga Christian Secondary School in 1968. Later he moved into administration and then into supervising the orphan care ministry at Namwianga and coordinating outreach efforts. Currently Roy considers himself Grandpa and Fundraiser for orphans at The Haven, Namwianga’s in-home orphan care ministry. Roy is also actively involved in teaching Bible classes on the Namwianga campus and in teaching basic English and math at the Kalomo Prison. He is an elder at the Namwianga congregation and preaches there often. Kathi is a Nebraska native and has lived at Namwianga since 1977. She is credited with beginning Namwianga’s orphan care ministry and now serves as Haven manager. Her days are filled with banking and grocery shopping for The Haven, teaching high school Bible classes, making Tonga and English songbooks, and serving as Grandmother and Mom. Roy and Kathi have been married since 1993 and have three adult sons: Jason Kumalo, Andrew Kumalo, and Sterling Merritt, plus several children they raised while serving as house parents. They also have 13 grandchildren and countless other Zambians who call them Mum and Papa. The University City Church of Christ in Gainesville, Florida, and the College Church of Christ in Searcy, Arkansas, provide support for the Merritts and their ministry. Jana Miller is the family advocate at The Haven, Namwianga’s in-home orphan care ministry. Jana serves as the liaison to the families of Haven children, supporting the goal of reunification for the child and family. She spends her days traveling all over southern Zambia to visit families both before and after reunification. She partners with Namwianga’s Evangelism and Spiritual Growth team to connect Haven families with Namwianga-established churches in their community. Jana is also involved in a goat program to help provide Haven kids with school fees after reunification. 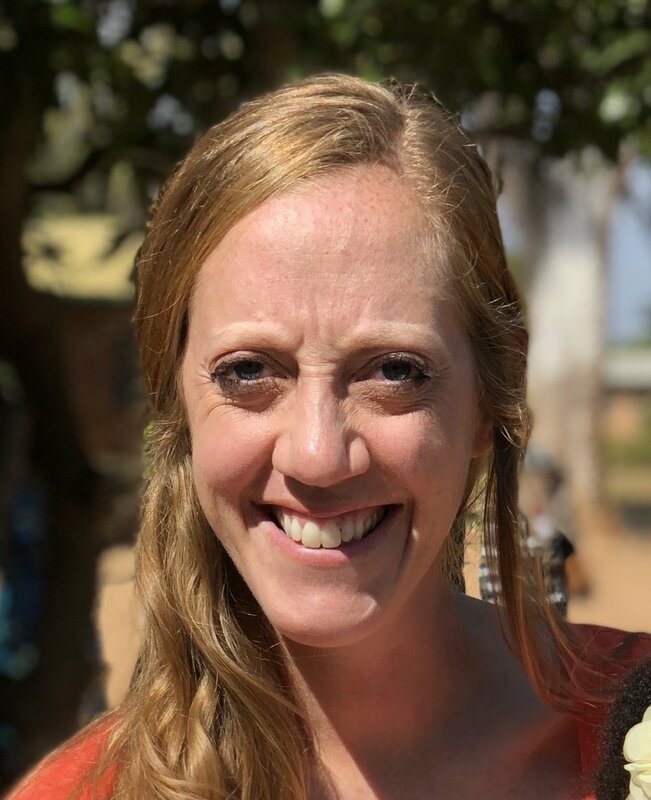 Jana has a degree in mass communications from Oklahoma Christian University and worked at OC as a marketing and social media specialist before coming to Zambia. The Edmond Church of Christ and Jana’s home congregation in Lockney, Texas, provide her support. Shepherd and Ruhtt Mbumwae have been missionaries at Namwianga since 1995. Shepherd serves as the administrator for Namwianga Zonal Health Center, and Ruhtt works with student sponsorship and community development programs for helping orphans, widows, and vulnerable children. Both Shepherd and Ruhtt are involved in disciple making, planting churches, and developing church leaders. Shepherd and Ruhtt are graduates of Abilene Christian University. Shepherd has a Bachelor of Science degree in Computer Science and a Master of Science degree in Organization and Human Resource Development. Ruhtt received a Bachelor of Arts in health sciences and community development. Shepherd previously served as a Bible and computer science teacher at both Namwianga Christian Secondary School and at George Benson Christian College. Ruhtt helped to start and develop the library at George Benson Christian College and also coached volleyball and athletics at GBCC. They continue to work with Namwianga teenagers and youth in soccer and athletics. The Mbumwaes have three children. Miguel, age 20, is in the USA studying at Oklahoma Christian University. Manuel is 13 years old and Melina is 16. Cindy Robinson has been at Namwianga since 2014. She teaches ladies’ classes, goes on outreaches in the bush, and serves as a lecturer for the Christian Leadership Development program at George Benson Christian College. Cindy first came to Zambia in 1999 as part of the Zambia Medical Mission team. She returned for short-term mission trips every year, serving with ZMM and also working at Mumena Mission and Meheba Refugee Camp in Northwestern Province. Before coming to Namwianga, Cindy taught for 23 years at Cisco College in Abilene, Texas. She has also taught English as a Second Language and developed curriculum for ladies’ Bible studies. Cindy has bachelor’s and master’s degrees in education from Abilene Christian University. Cindy is a widow and has three children and eight grandchildren. The Hillcrest Church of Christ in Abilene and the Wilbarger Church of Christ in Vernon, Texas are her overseeing congregations. Sheri Sears has served as an English teacher at Namwianga since 1979. She began her career at Namwianga Christian Secondary School and later became a lecturer and head of the English department at George Benson Christian College. She recently retired from classroom teaching, but still remains active teaching and tutoring children at Eric’s House and teaching college ladies’ Bible classes on Wednesday evenings. Sheri is from Des Moines, Iowa and received her bachelor’s degree in English from the University of Iowa. She later studied at Abilene Christian University for her master’s degree in education. Sheri has two adopted Zambian daughters. Lois Mwananshiku is 32 years old and Sarah Syalunga is 28. She also has one 4-year-old grandson, Kyle Mapalo.